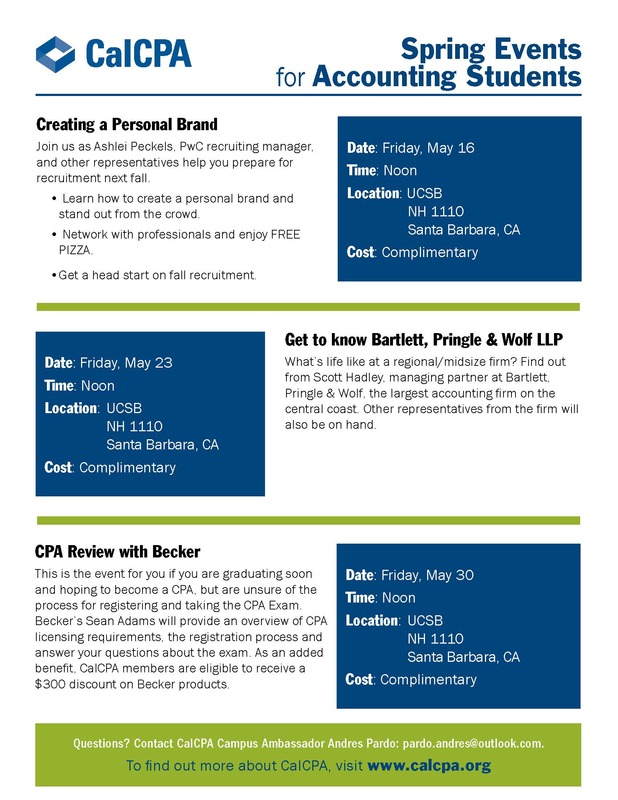 CalCPA presents PwC – this FRIDAY!! Ashlei Peckels from PwC will be here on campus this Friday, May 16th to help you prepare for recruitment next fall. Learn how to create a personal brand and stand out from the crowd. Network with professionals and enjoy FREE PIZZA. Get a head start on fall recruitment. This event is being sponsored by CalCPA. Student membership in CalCPA is free and provides networking opportunities, student discounts, and much more. To find out go to www.calcpa.org. This is the first in a series of 3 events sponsored by CalCPA.